REIT ( Real Estate Investment Trust ) is an organization or a company which either owns or finances income-generating real estate. 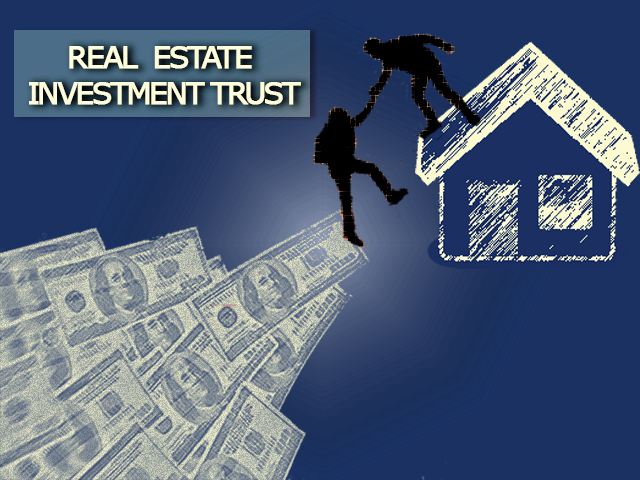 Investors get all types of regular income streams, diversification, and long-term capital appreciation from the REIT. These companies pay the taxable income to the shareholders by way of dividend, for which the shareholders have to pay the tax on dividend income. DC Fawcett suggests the investors to choose the right REIT. The dividend yield in a REIT is significantly higher than other equities. Publicly traded REIT shares can be readily converted into cash as the trading is done in major stock exchanges. An individual might invest in a REIT that is listed on the stock-exchange. They also go to REIT mutual fund or exchange-traded fund. Profitable investment Investors also have the capacity to invest in public non-listed non REITs and private non REITs. REIT stocks and shares are publicly priced in stock exchange- listed REIT’s like other companies. To assess the investment value of REIT shares, certain aspects are taken into consideration. Anticipated total return from stock that is estimated from the price change and the dividend yield. Current dividend yields of bonds, utility stocks and other high-income investments. Percentage of dividend payout ratios. The company has the ability to increase its earnings unfailingly. REIT management teams are able to reinvest the cash flow quickly and effectively while simultaneously developing other strategies to create new revenue opportunities. Strong operating characteristics that uses the strategies for succeeding in competitive markets like effective corporate governance procedures, conservative leverage, acceptable accounting practices and strong tenant relationships. You need to compare the amount of dividend for the previous and the current quarter and assess how much the company growth has improved in REIT earnings, which are generated by higher revenues, lower costs, and new business opportunities. REIT’s are the main aspect when it comes to an investment portfolio and retirement savings. The REIT’s should pay at least 90% of their taxable income to the shareholders by means of dividend, making them a strong income-generating investment. In the last decade, investors, who has been investing in commercial real estate has switched on to REIT because of its attractive offers.